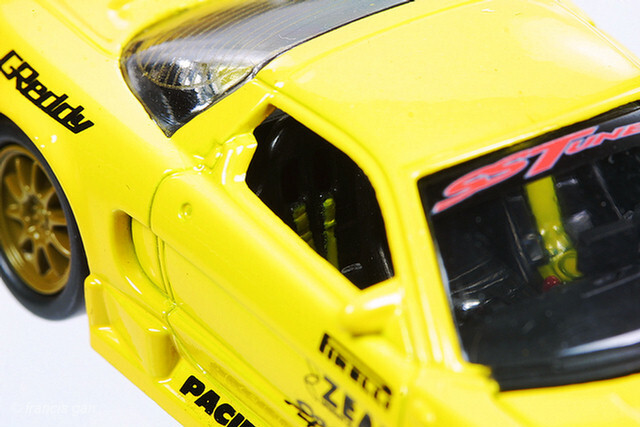 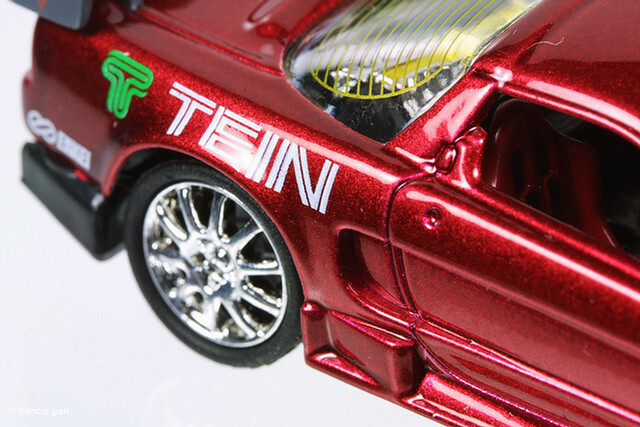 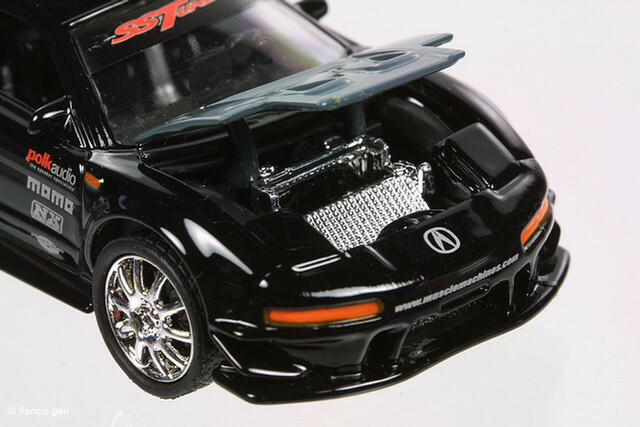 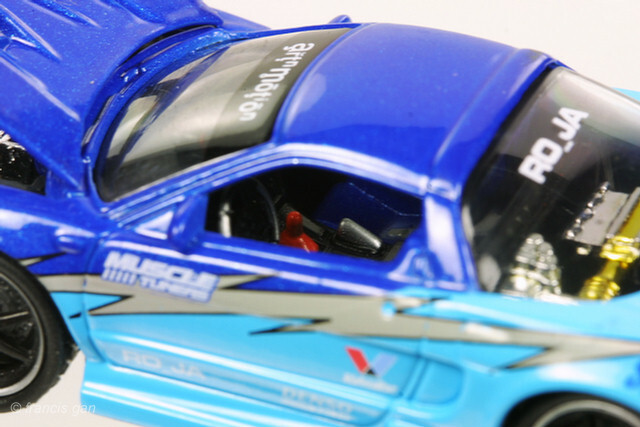 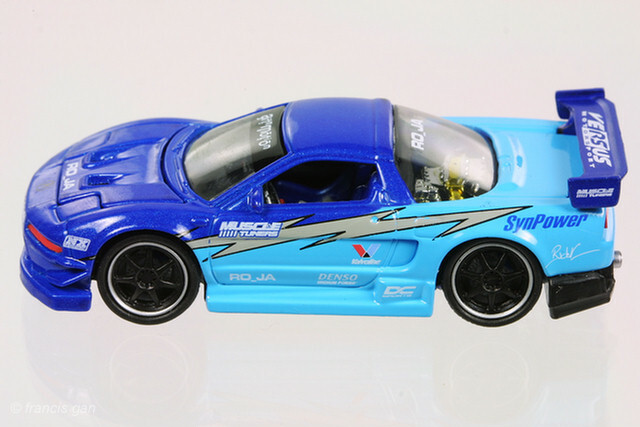 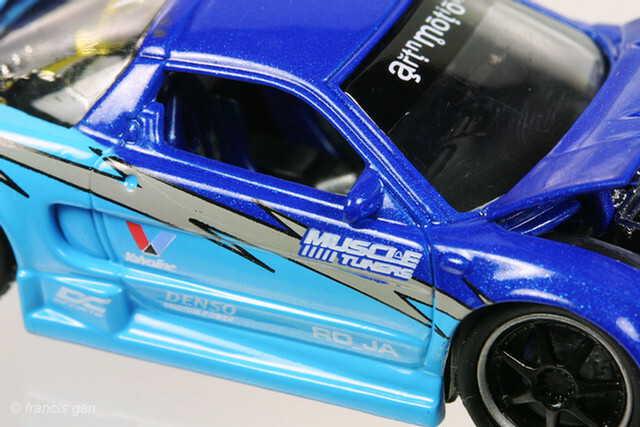 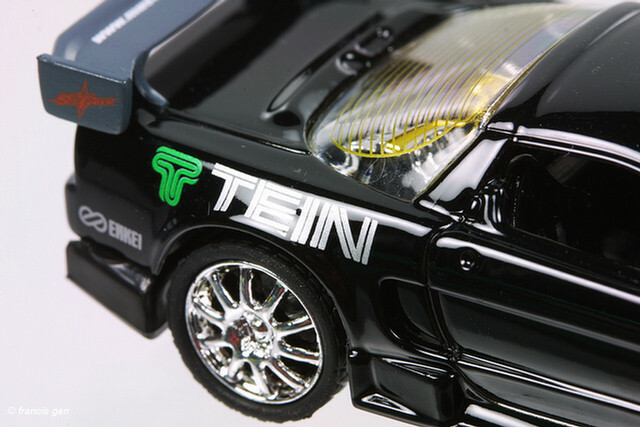 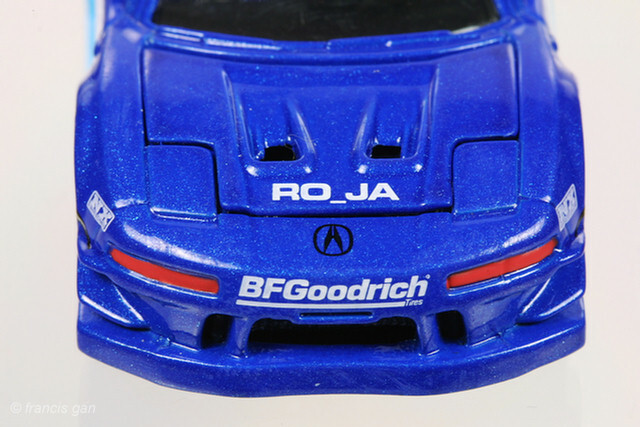 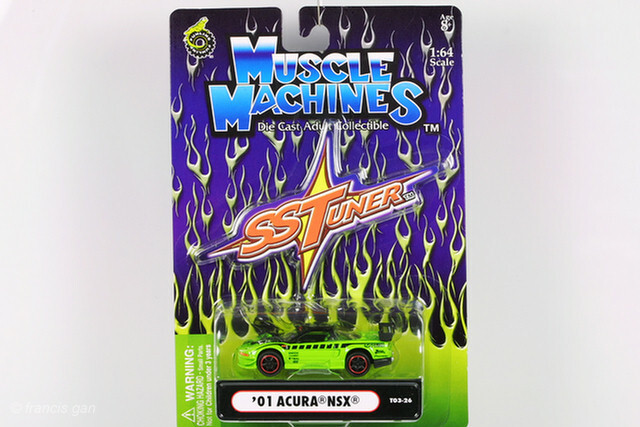 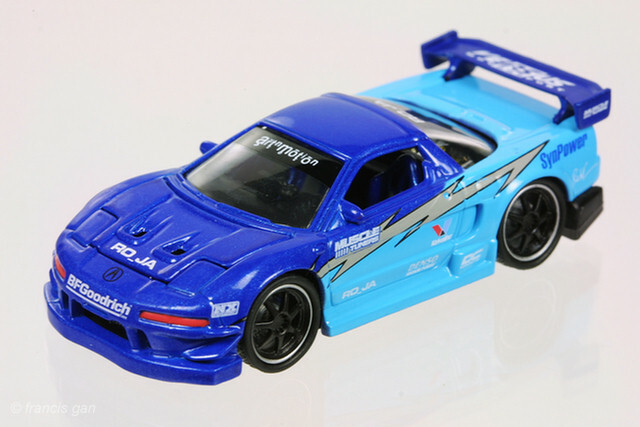 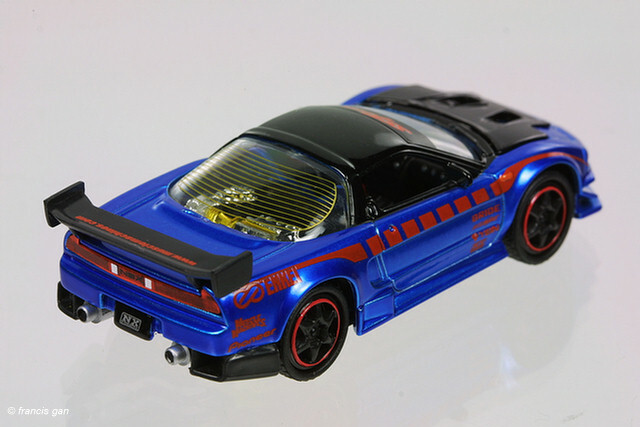 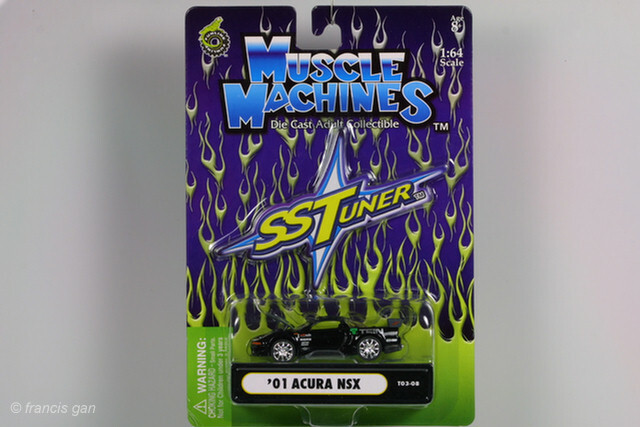 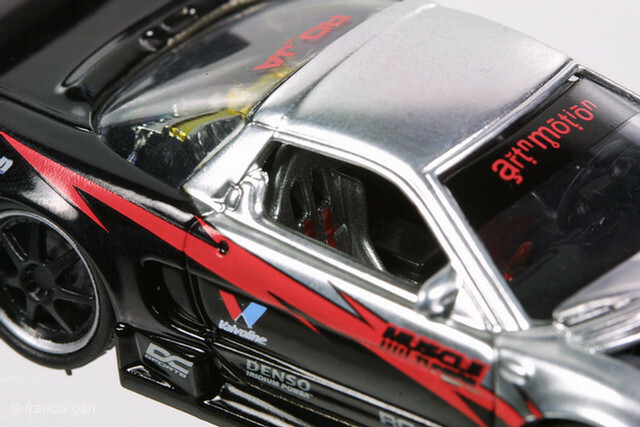 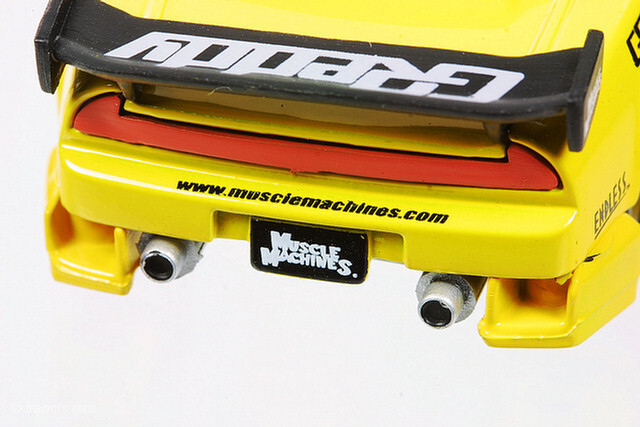 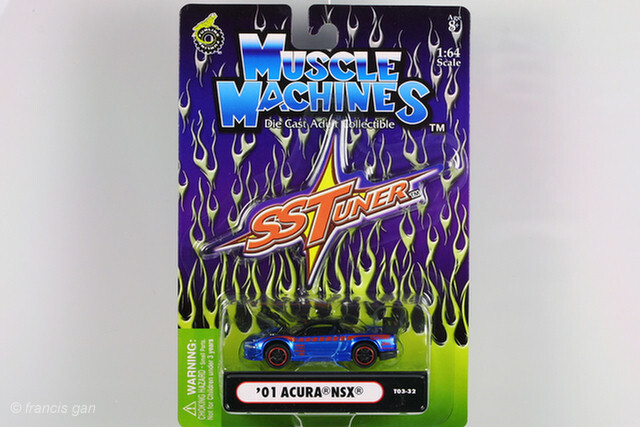 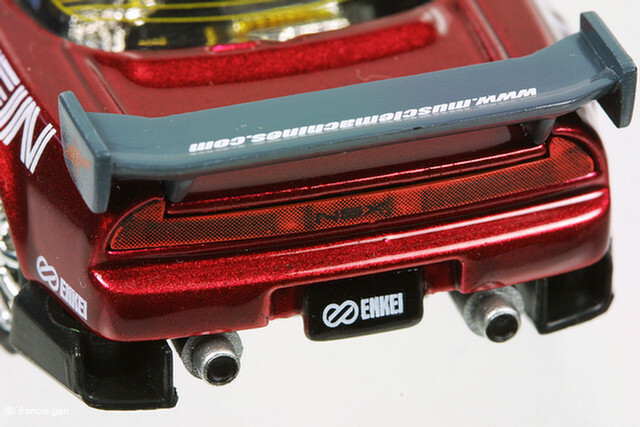 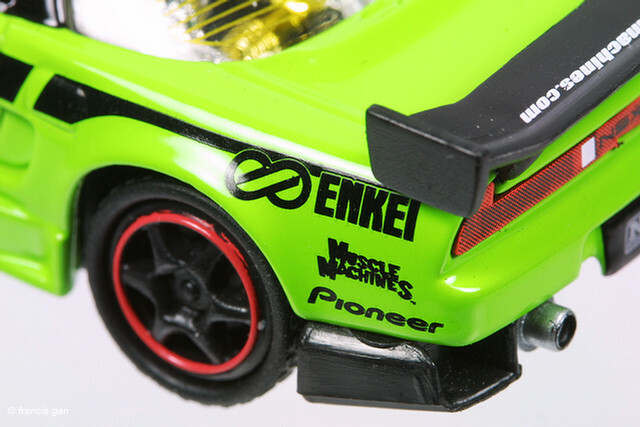 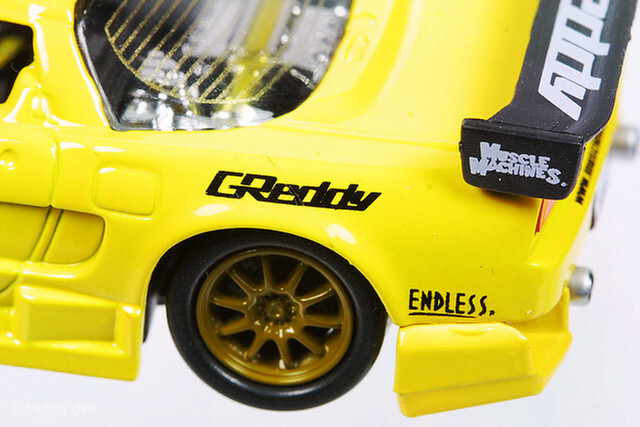 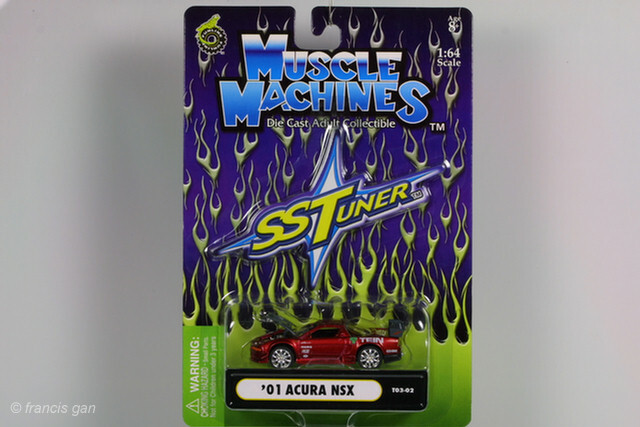 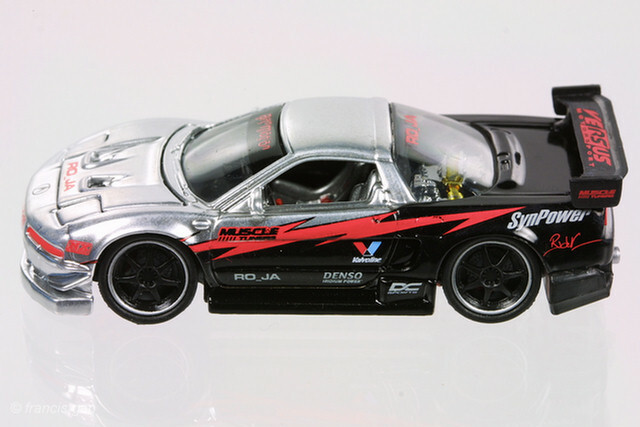 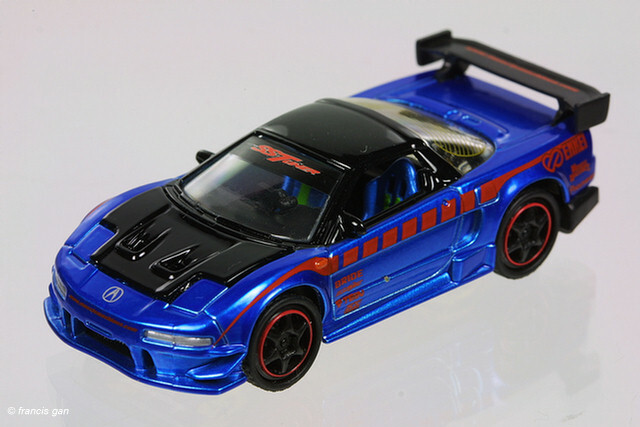 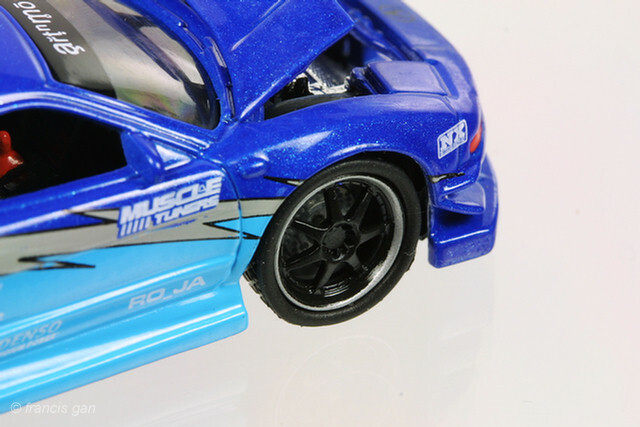 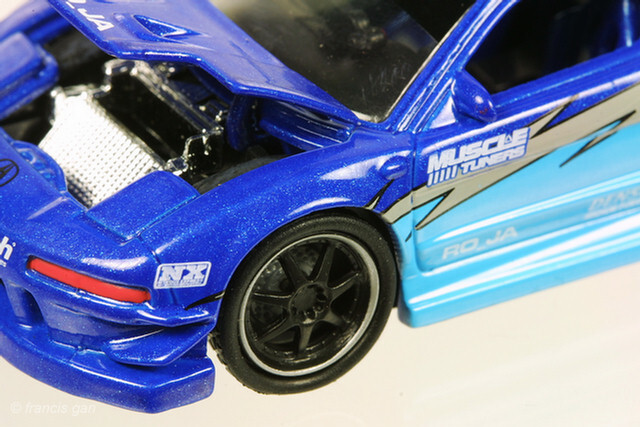 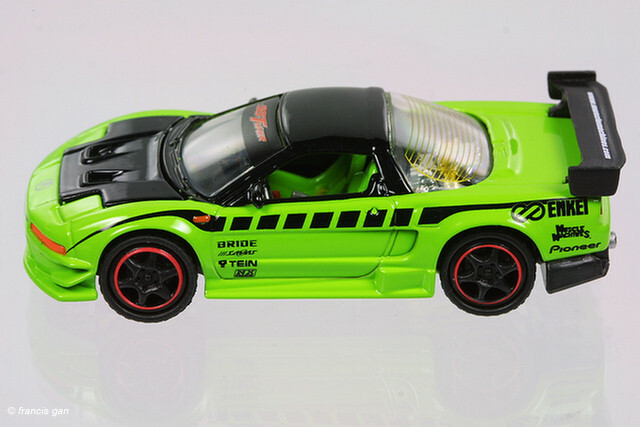 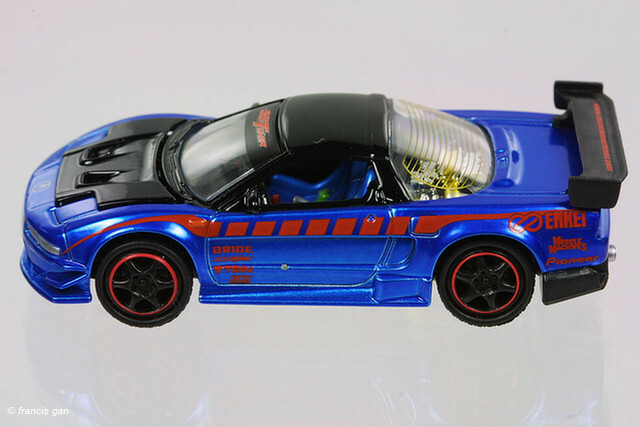 Funline waited quite a while before issuing the NSX. 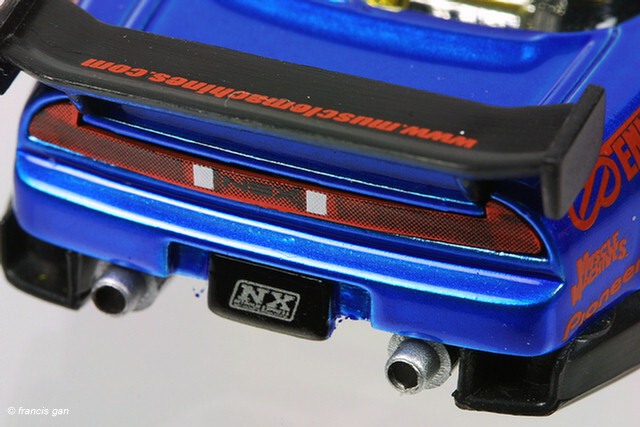 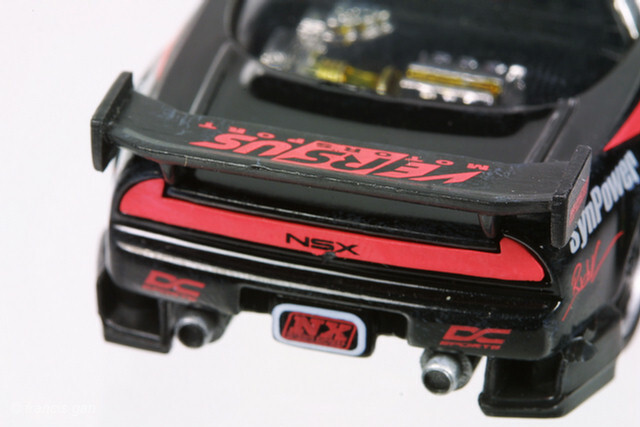 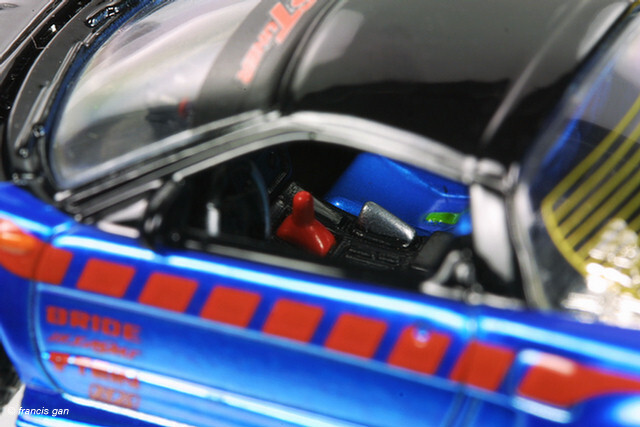 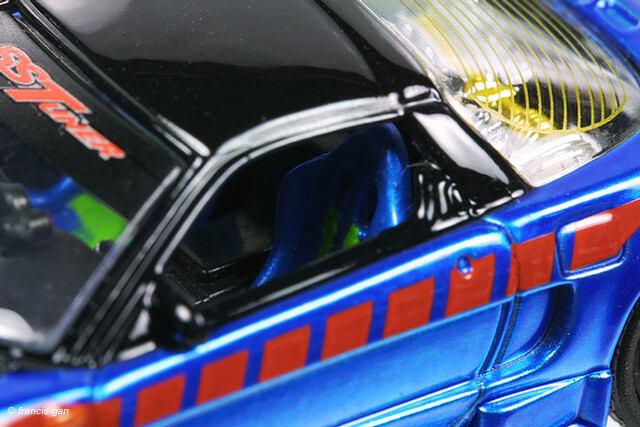 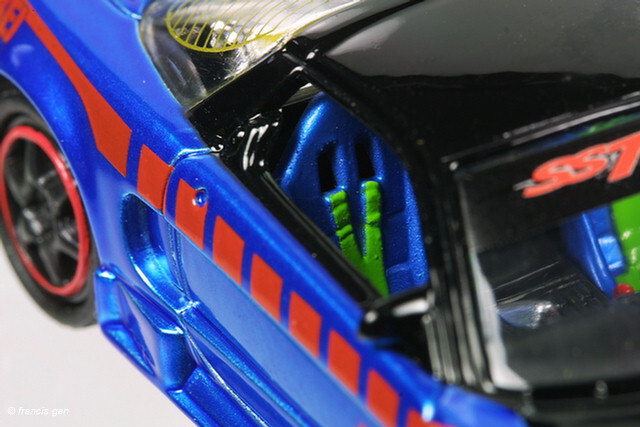 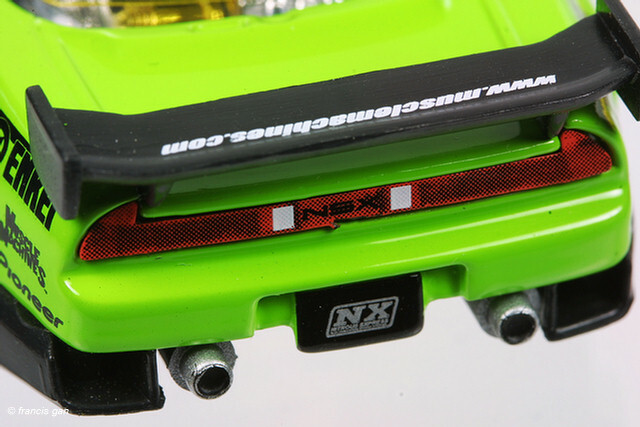 The NSX is current available in 4 colors: red, black, blue and green - the blue and green ones being more decorated than the more stock looking black and red. 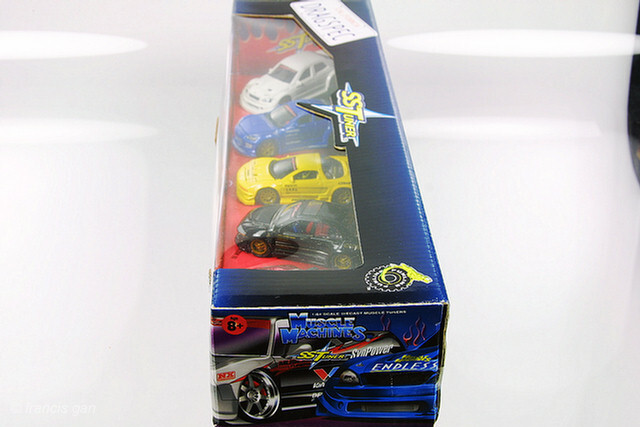 For some reason, the black and red ones are quite rare. 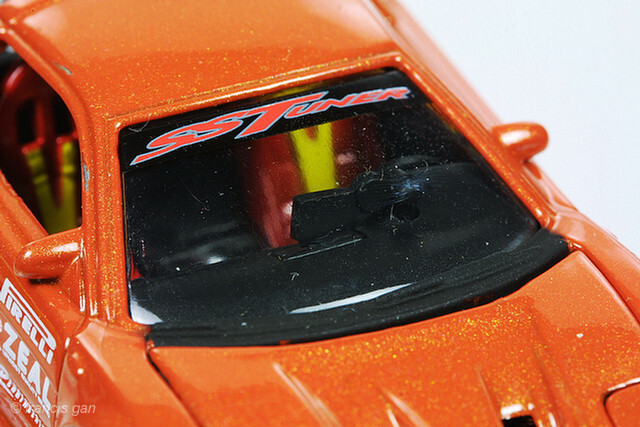 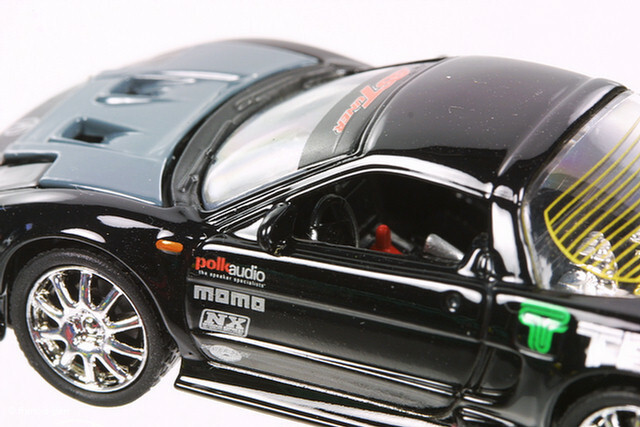 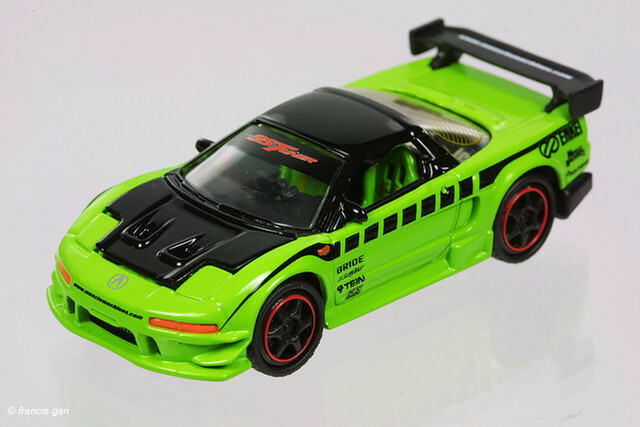 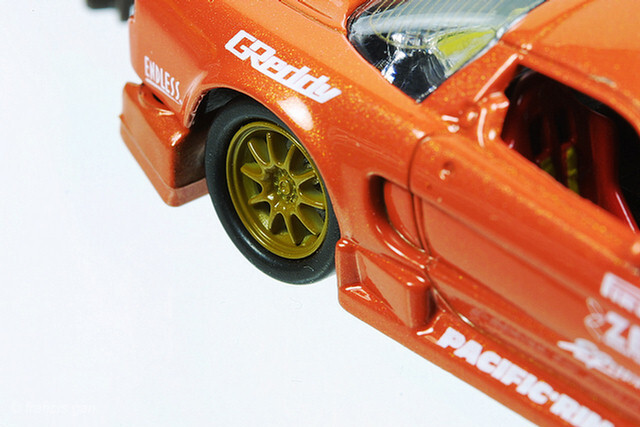 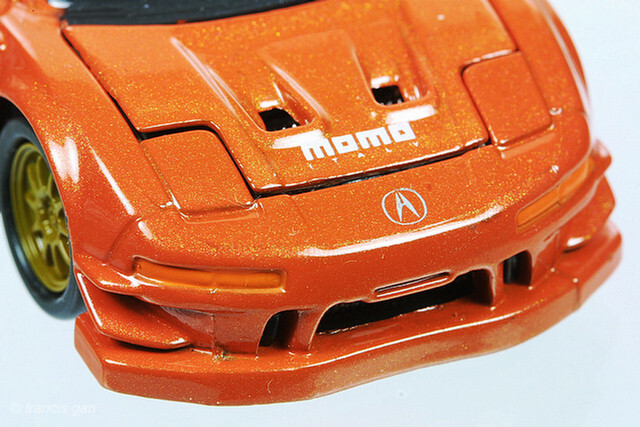 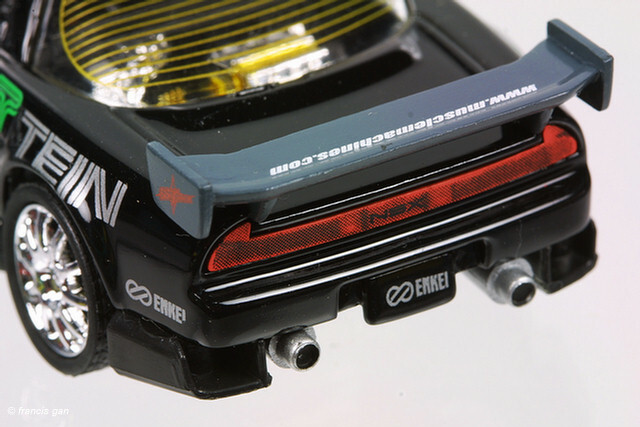 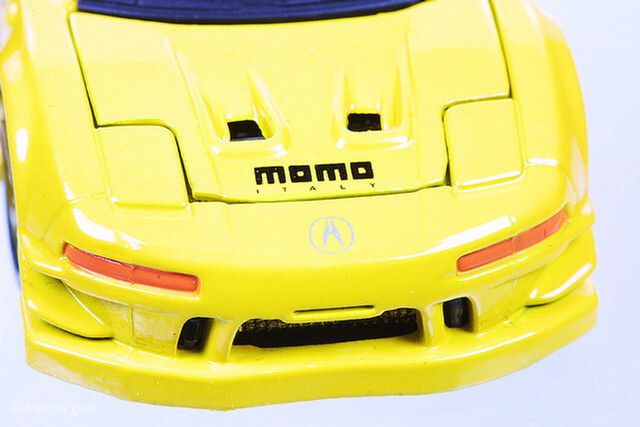 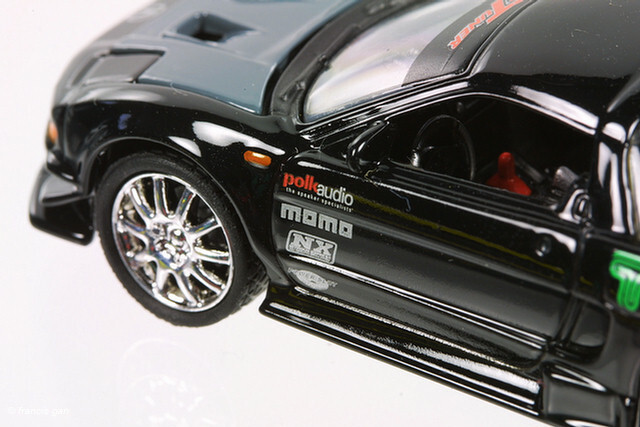 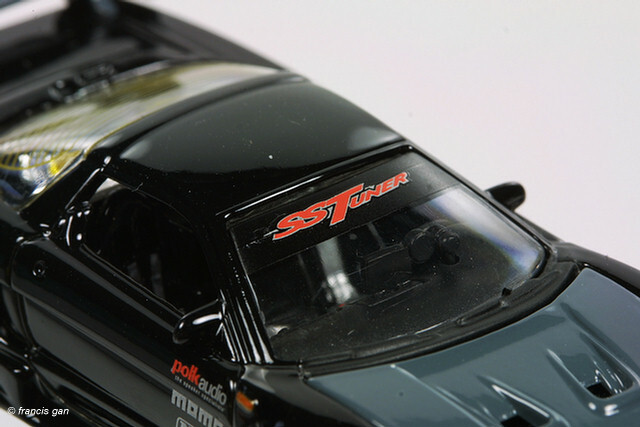 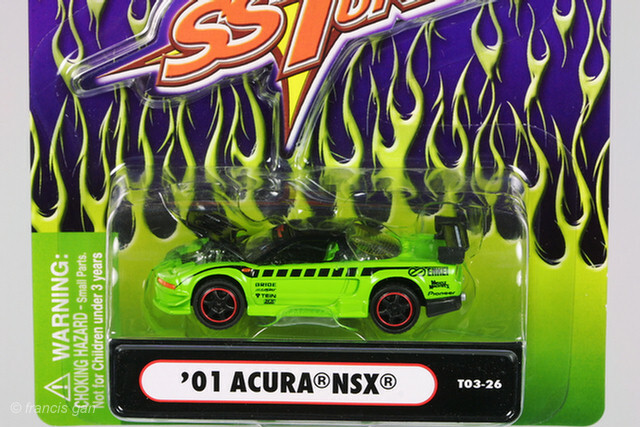 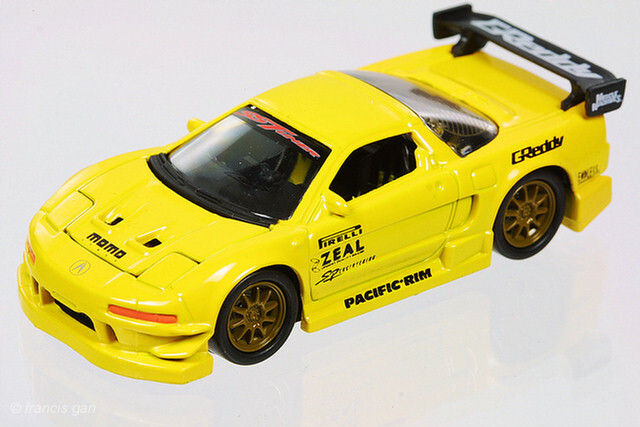 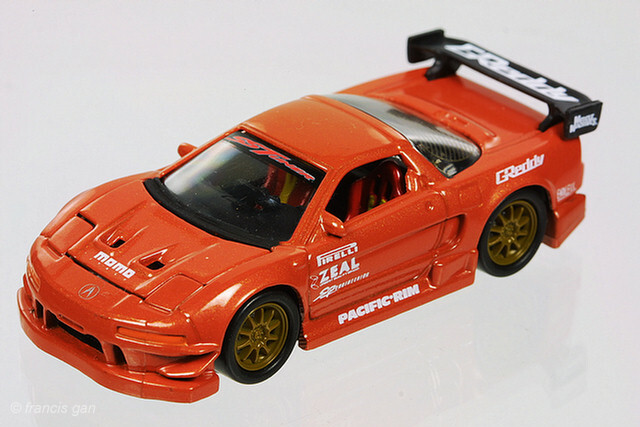 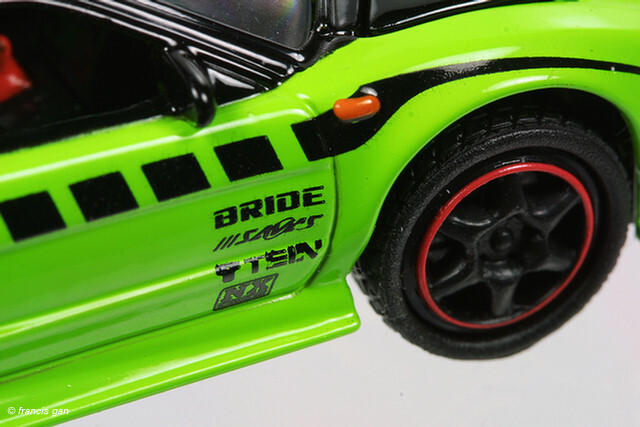 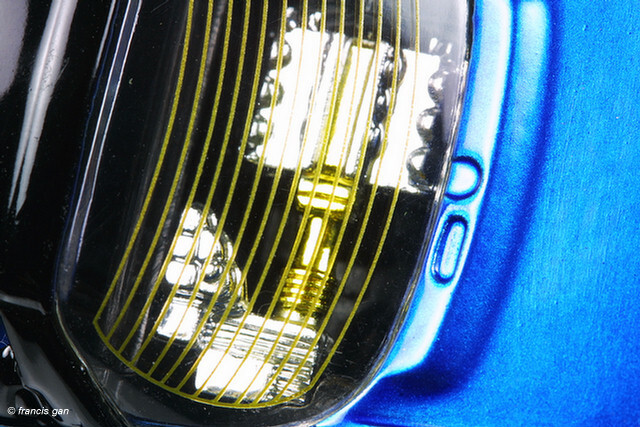 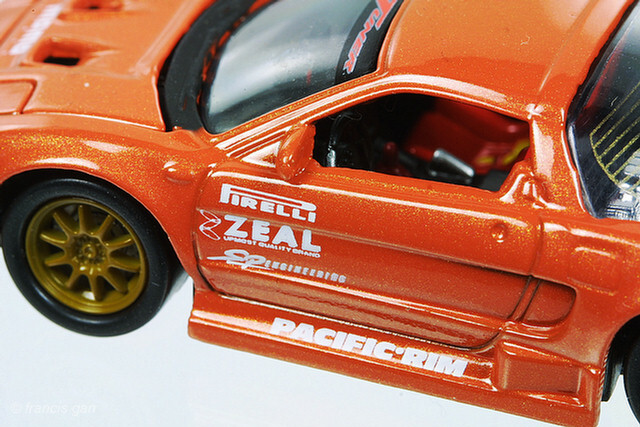 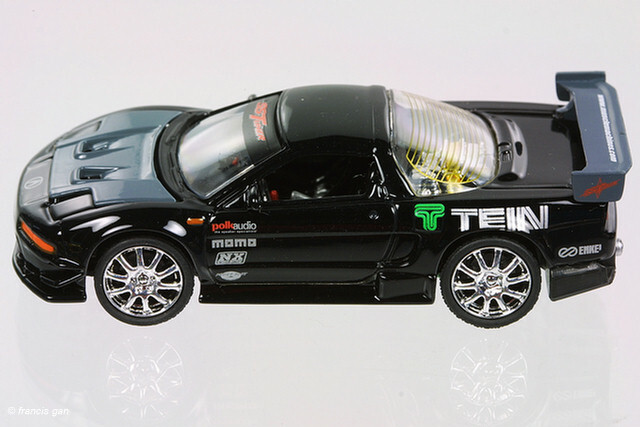 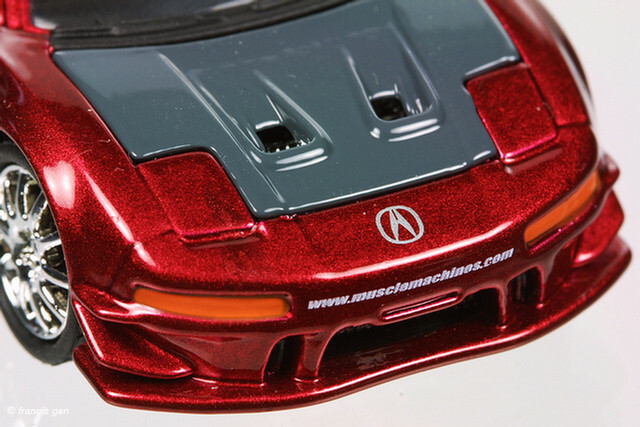 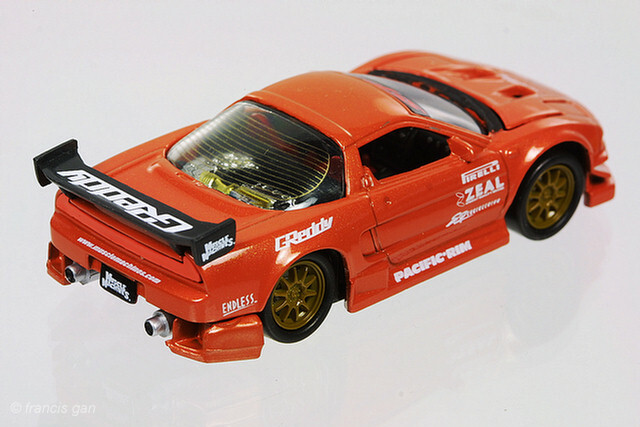 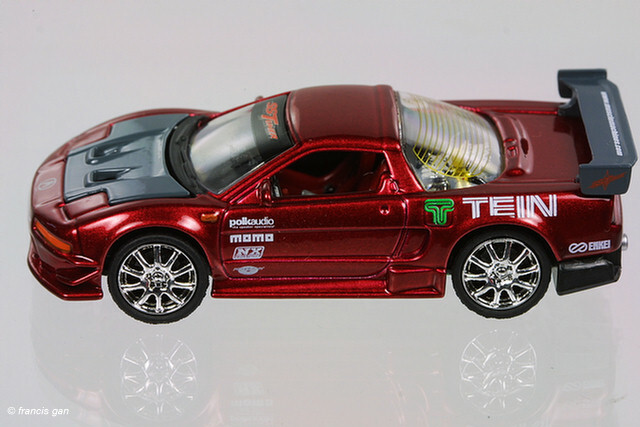 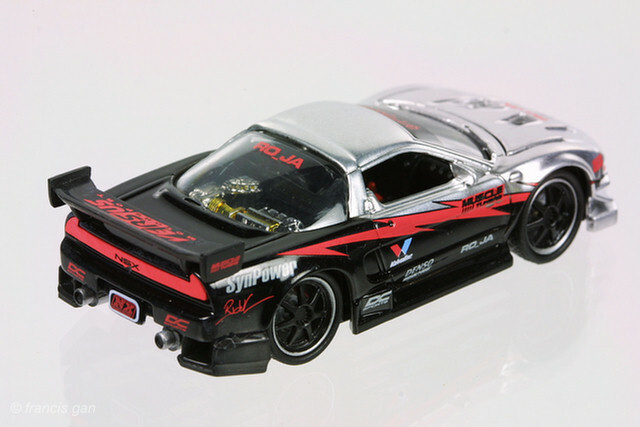 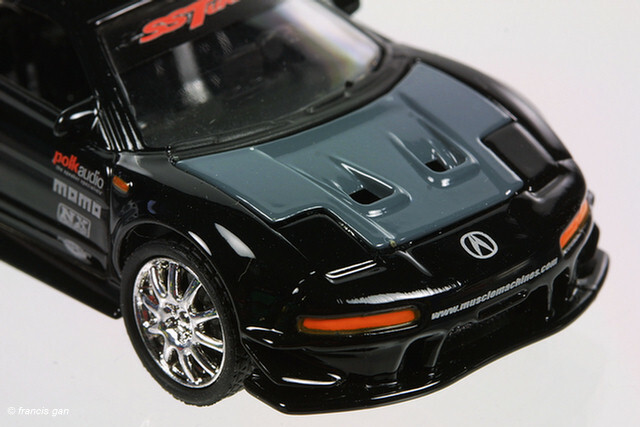 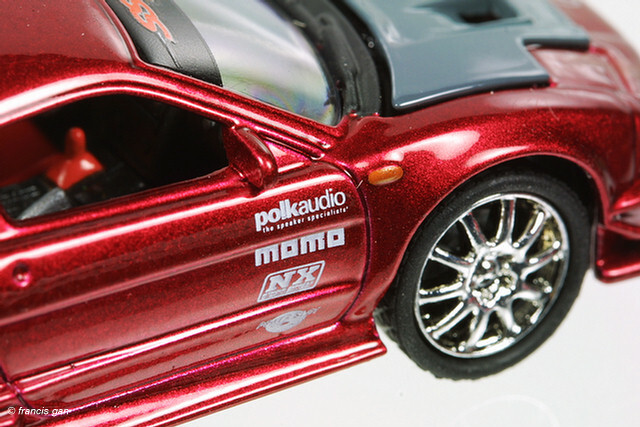 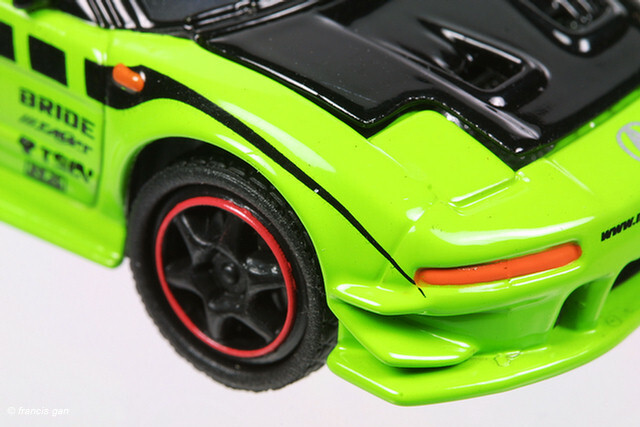 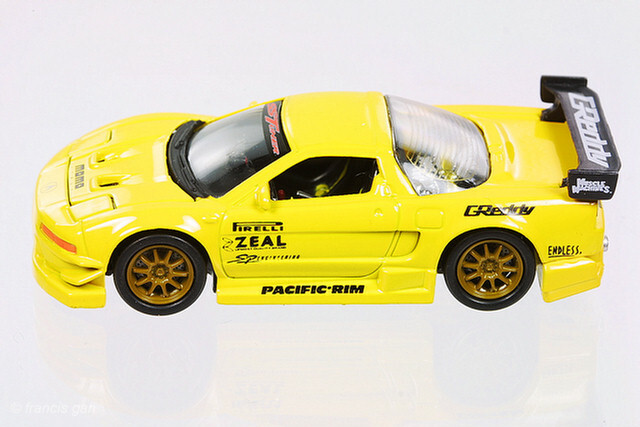 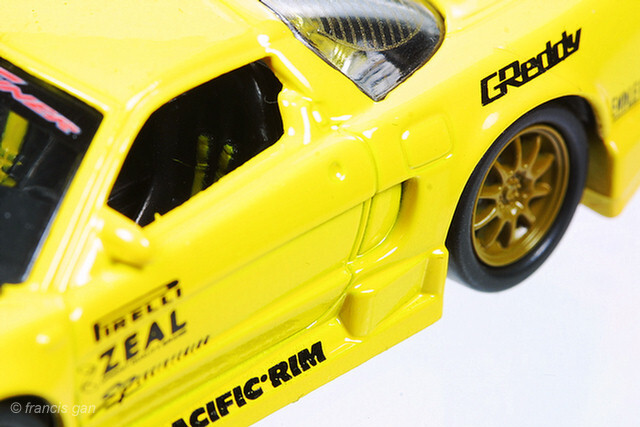 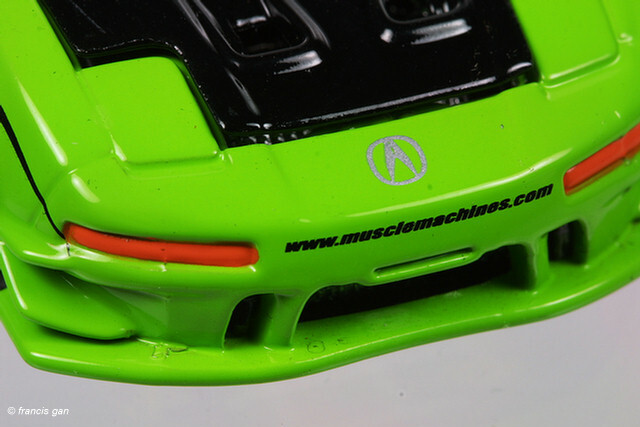 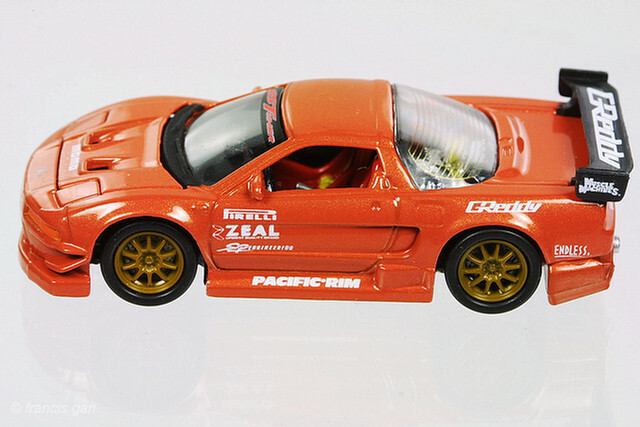 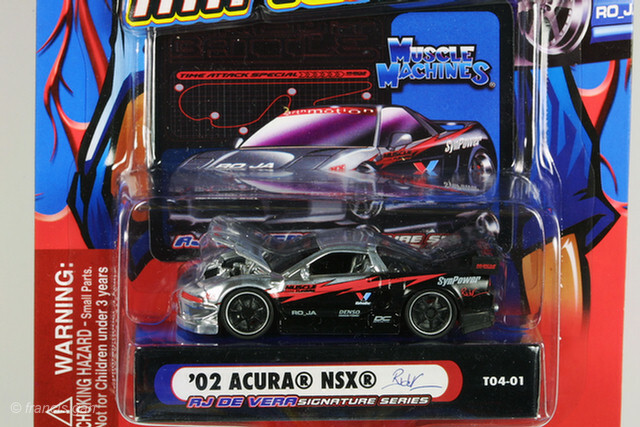 The NSX's were also released later in the T03 series with more colorful markings. 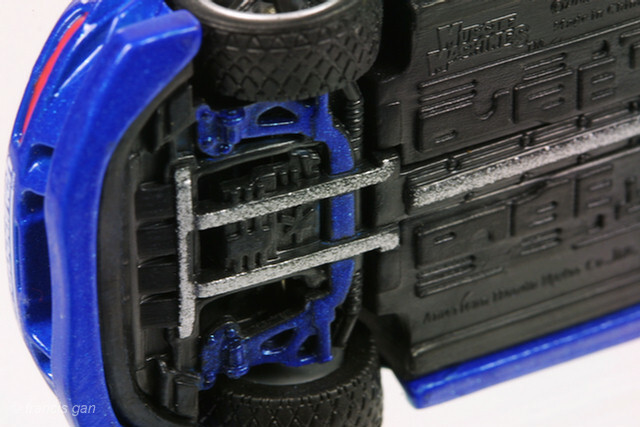 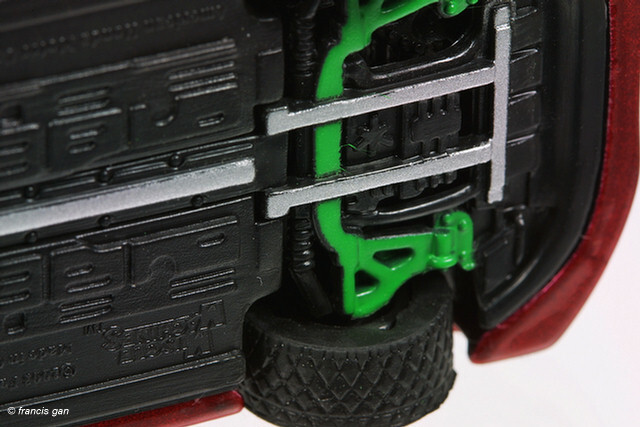 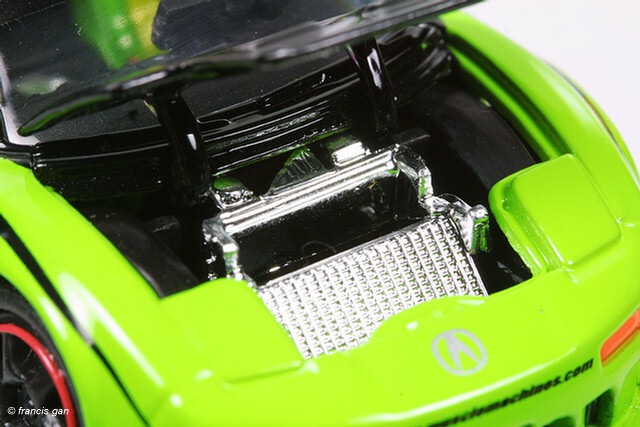 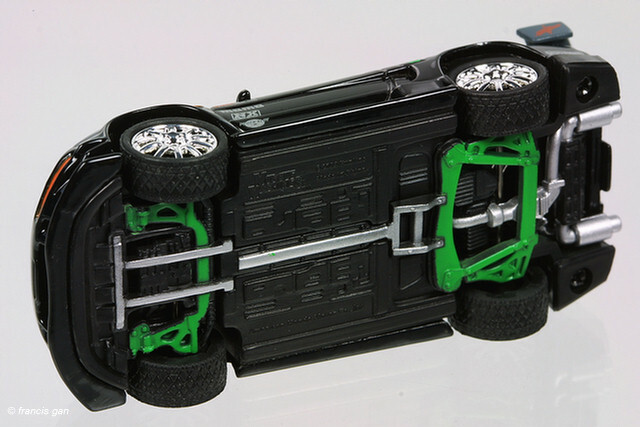 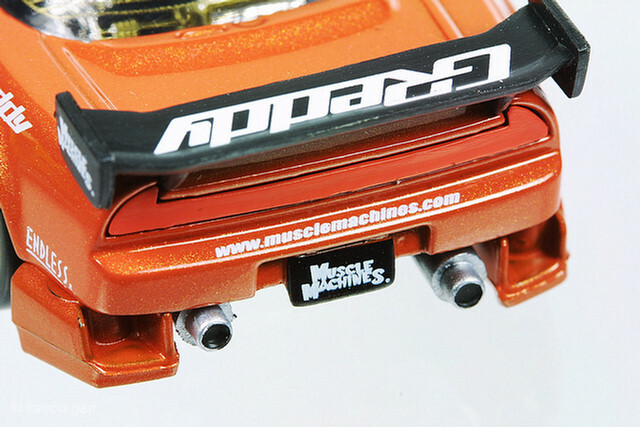 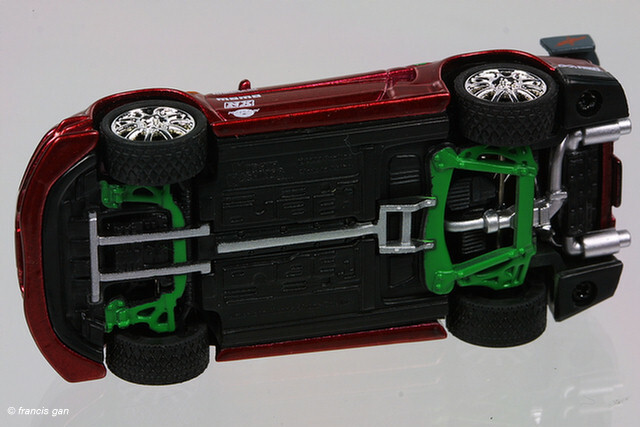 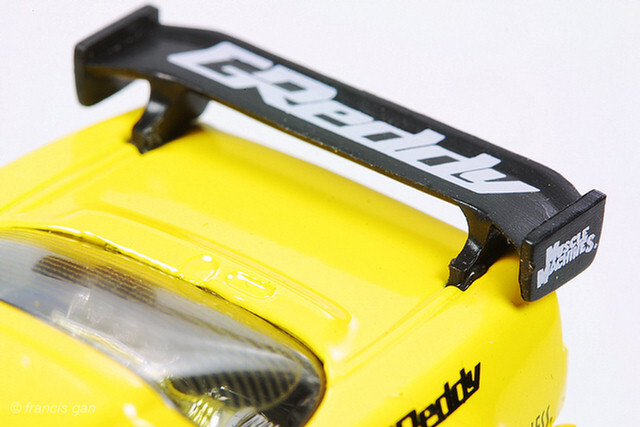 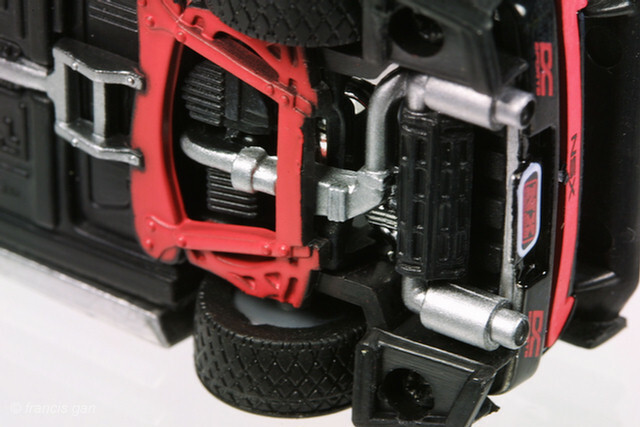 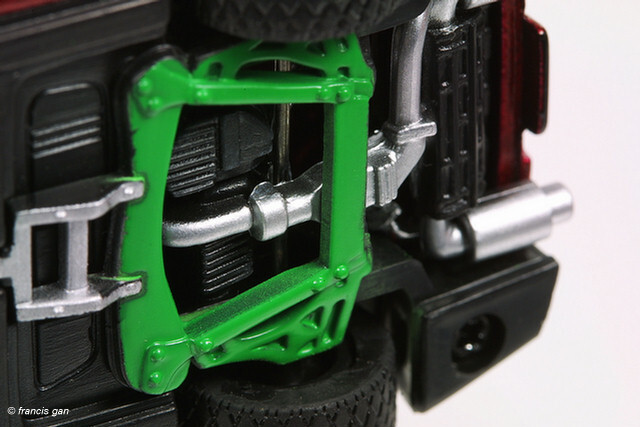 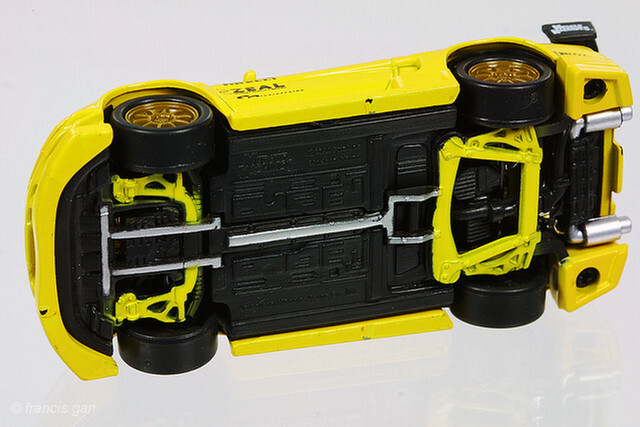 Some amazing detail - especially the undercarriage. 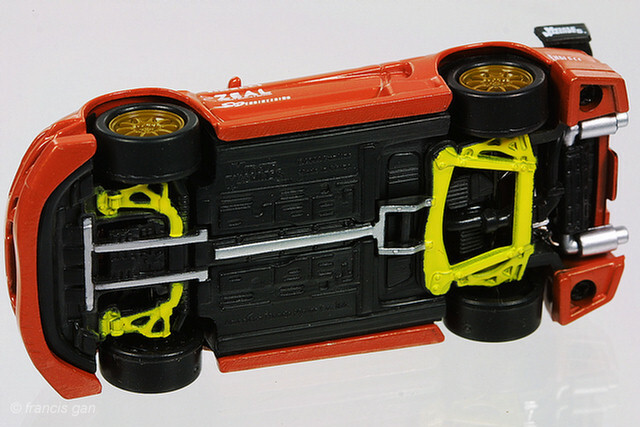 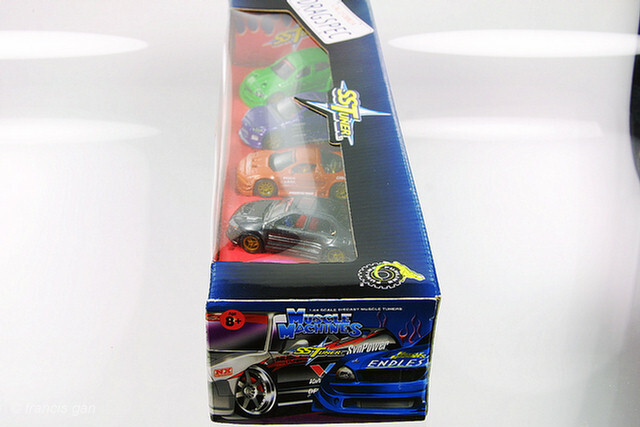 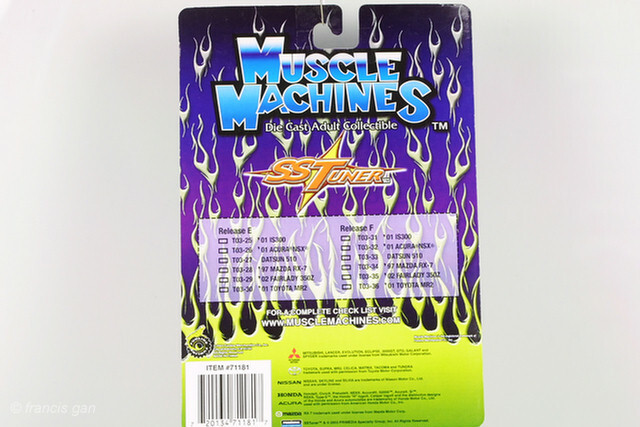 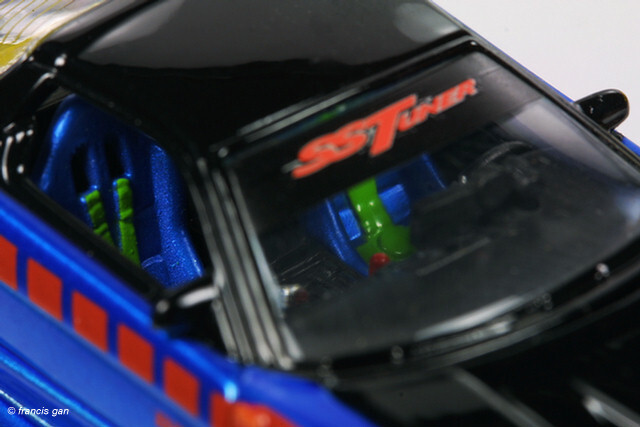 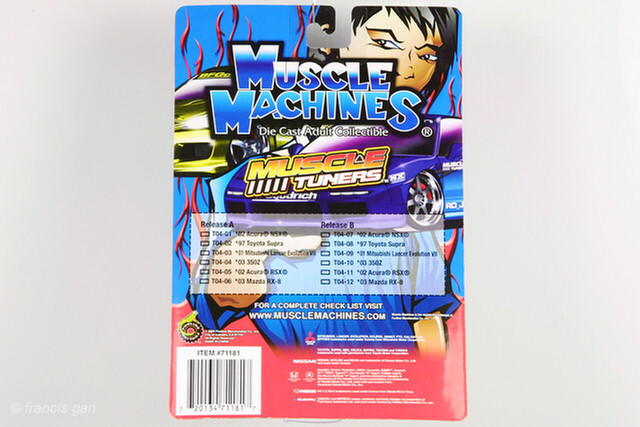 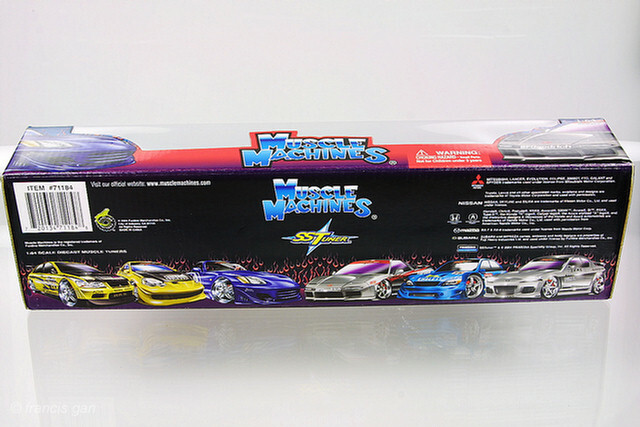 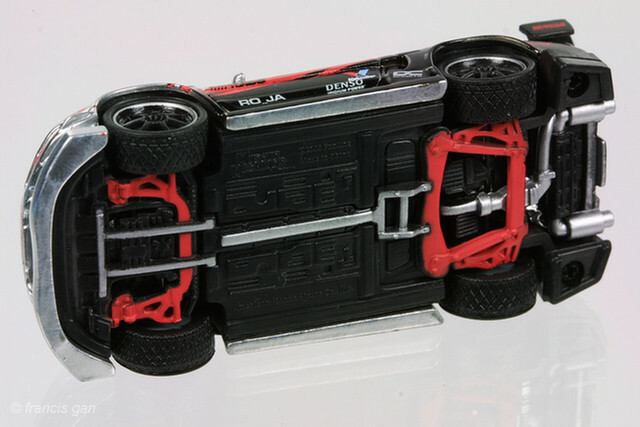 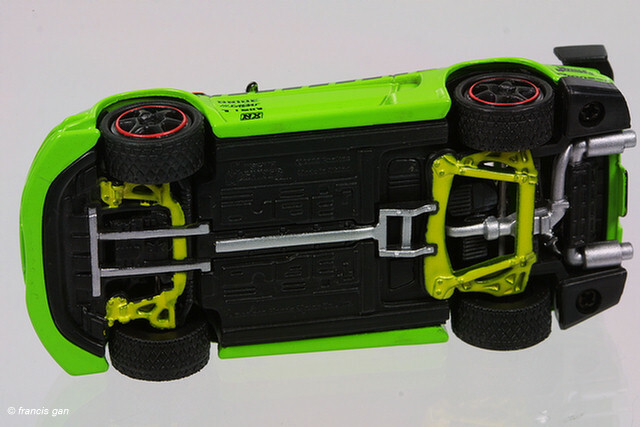 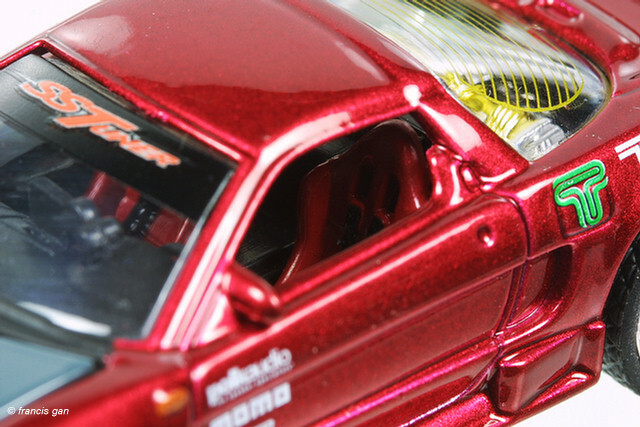 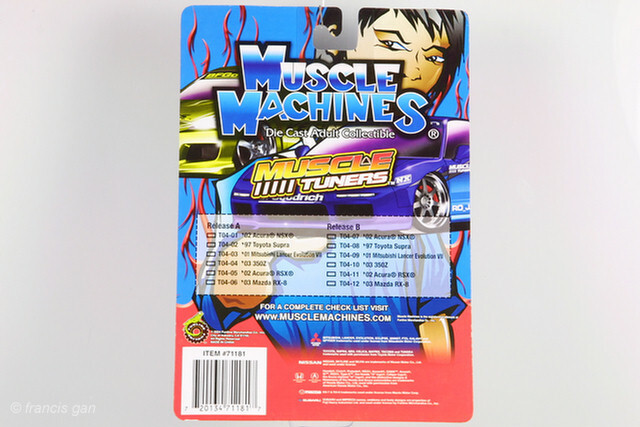 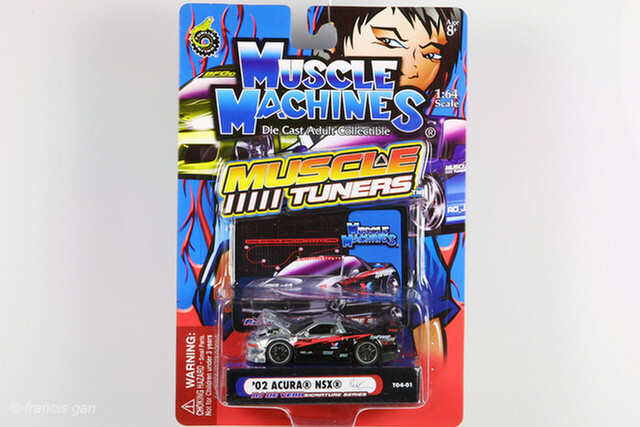 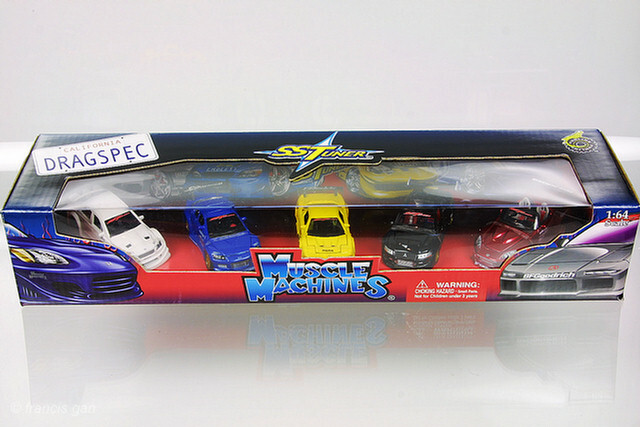 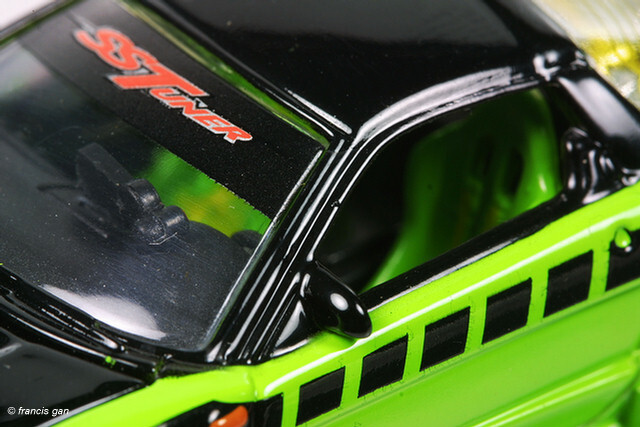 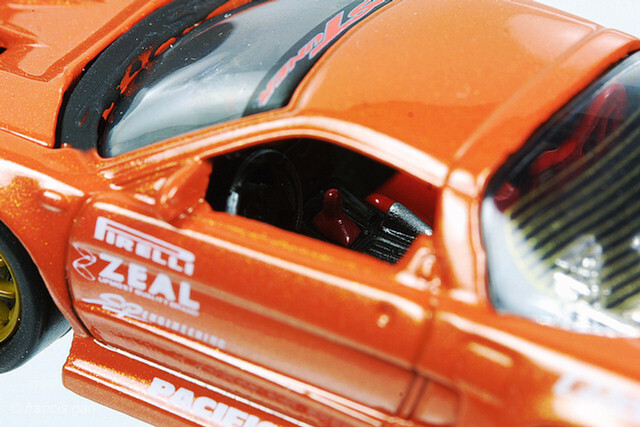 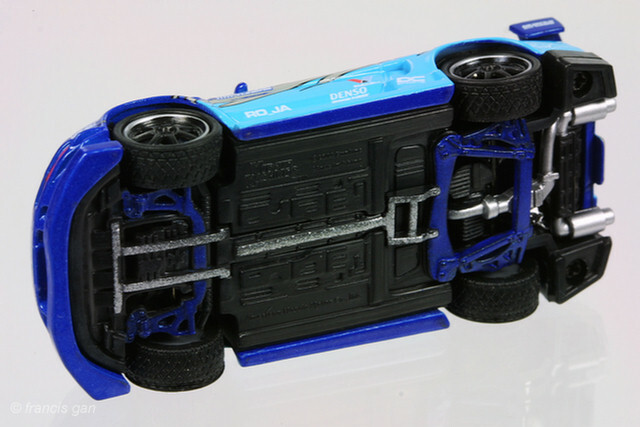 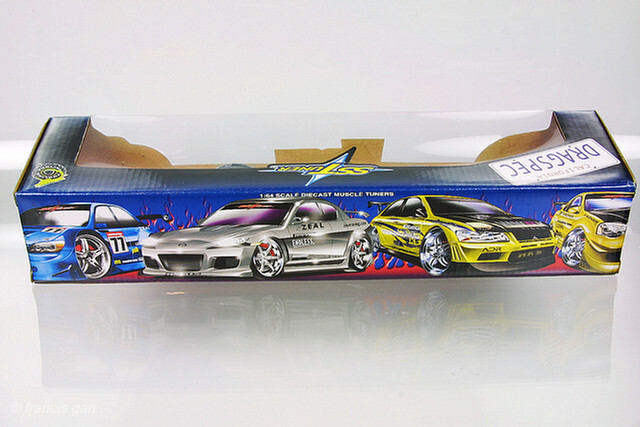 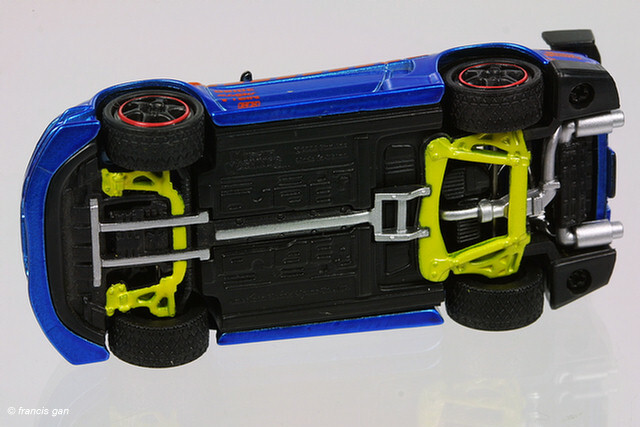 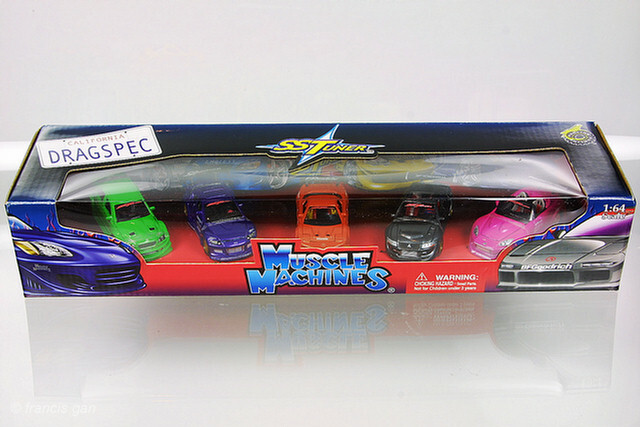 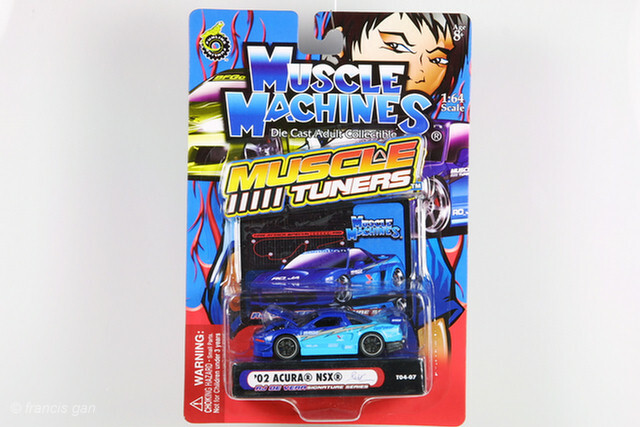 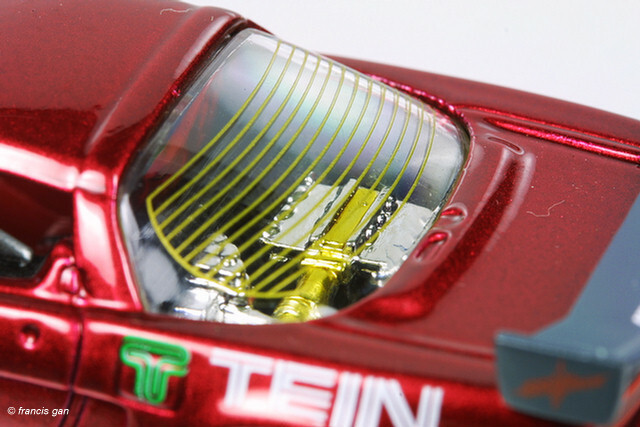 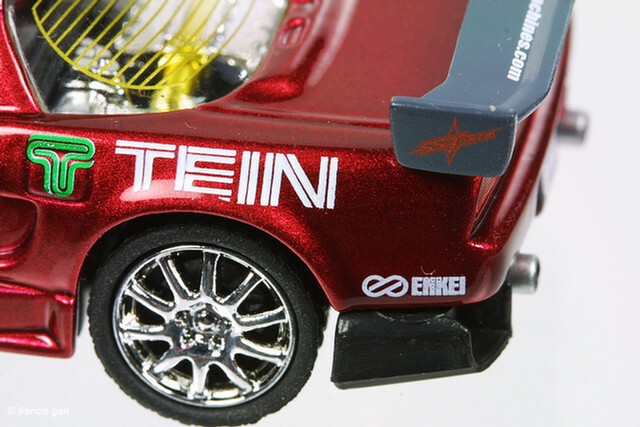 The T04 series come with a slightly more colorful and lively packaging as well as a nice card insert that is unique to each car/color.